In the ever-immortal words of Alice Cooper, “School’s out for Summer”. The question is, what should your family do with all that free time? Perhaps someone has a birthday or wedding coming up. Maybe your extended family is spread across the U.S. with little opportunity to gather. With a little planning, your family can enjoy a host of lakeside activities while they avoid the pitfalls of summer boredom and heat. In the United States, summertime should be renamed to reflect the patriotic holidays we celebrate. Here, we gather, eat, and mingle with friends and family three different times in just three short months. First, Memorial Day ushers in the red, white, and blue decor that will not leave our sight again until September. Then, Independence Day offers an array of bright lights, hot nights and picnic food unmatched by other holidays. Finally, we close the season with a celebration of our hard work throughout the year by having some cocktails and one last cookout. 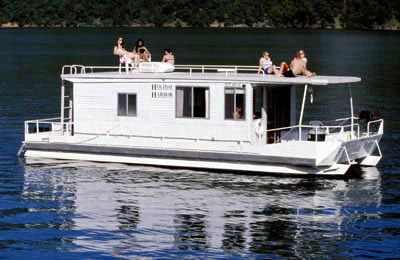 Most people choose to hold their wedding in churches or large halls, but houseboats can supply everything you need for an incredible bachelor or bachelorette party before you make the trip down the aisle. Men can play beer pong on the upper decks or go fishing off the back. The ladies are provided with a level of privacy and safety not always available in more public settings. Then, the members of either party can avoid driving and crash in the many bunks on board, up on the roof, or in tents they’ve set up on shore. With stunning scenery and the available amenities offered by quality houseboat rentals, your wedding is sure to be a hit among guests. Due to the expansive kitchens, on-board barbecue, and upper decks, you can choose the do-it-yourself option. Of course, many local catering companies are more than happy to supply your wedding party with the food and drinks to make your wedding memorable. Not only that, houseboats have reliable power sources and many even include basic audio and visual equipment to help you broadcast your favorite tunes or videos. There is no better summer birthday party than the one that offers the chance to stay cool. Pool parties can be fun, but that amenity must already be present and available. In the meantime, houseboats can easily be rented for just a couple days while giving the grownups access to full kitchens and bathrooms that they won’t even have to clean when the party’s over. Moreover, all those children are easily corralled when you land your houseboat on the shoreline of a small, unconnected island or up in a private little cove. For hundreds of years, U.S. citizens have been a migratory bunch. People leave their birthplaces for many reasons including college attendance, dream job acceptance, and military service. Unfortunately, the geography of our nation can make it difficult for families to stay connected and involved in each other’s lives. 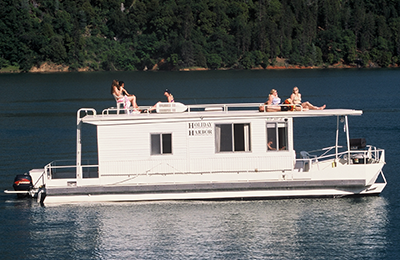 A family reunion aboard a houseboat can provide the space and ease necessary to reconnecting with those people closest to us. Meanwhile, a throng of other water toys, such as small boats, PWCs, towables, and SUPs, will keep your extended family occupied for days on end. Don’t let the heat get you down! The perfect getaway is one of peace, relaxation, and celebration. So, whatever your reason, take the time to plan a perfect summer gathering on your local lake and you will not be disappointed.